Download JRE 1.4.2 (or later) and install it - if you are running a non-US version of windows you should select the internationalized version. We recommend selecting all the default options during the installation process. 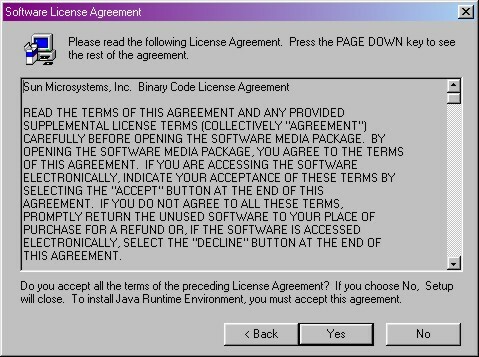 If you have already installed this software (or a newer version) previously, you may safely skip step 1. 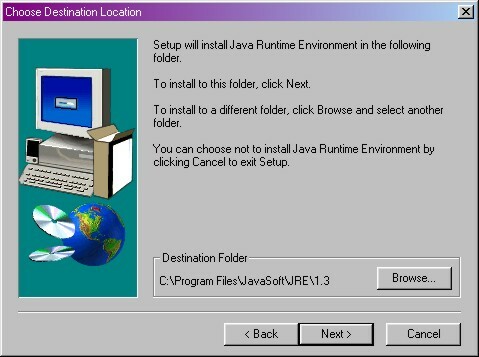 The Javaï¿½ 2 Runtime Environment is the minimum standard Java computing environment for running applications written in the Java programming language. It contains the Java virtual machine, Java core classes, and supporting files. Additional information and future updates for the JRE will be available here.